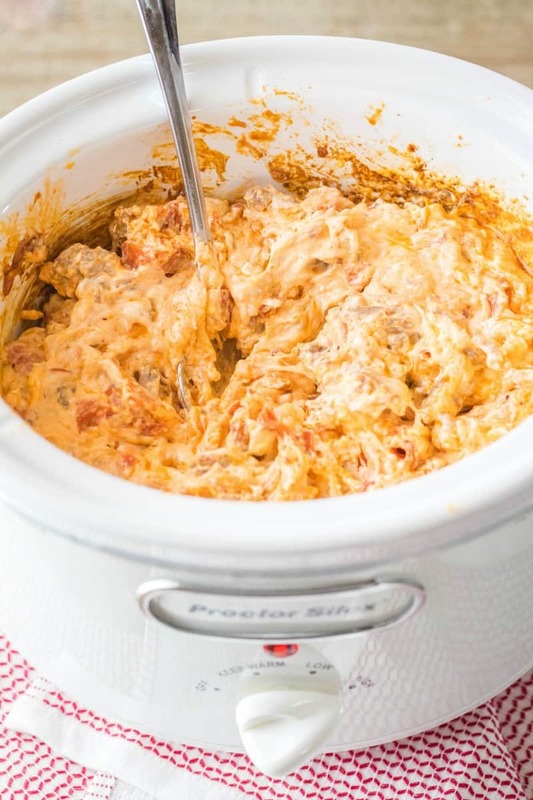 Meat Lover’s Crock Pot Pizza Dip is everything you love about pizza turned into a crazy good, easy to make, super cheesy party dip! 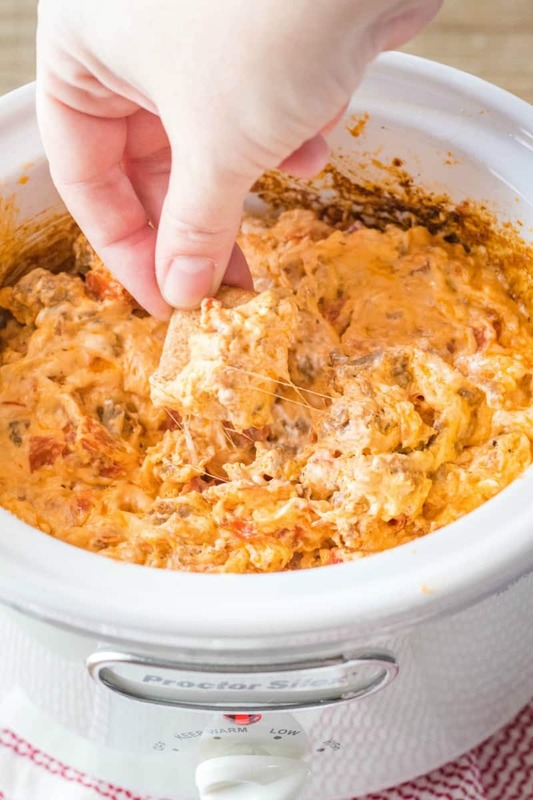 I have this crush on crock pot dip recipes. They’re easy to make, SO freaking good, and everyone totally loves them. I mean really, what’s not to love about a cheesy dip in its molten state just begging you to dip something in and take a bite? 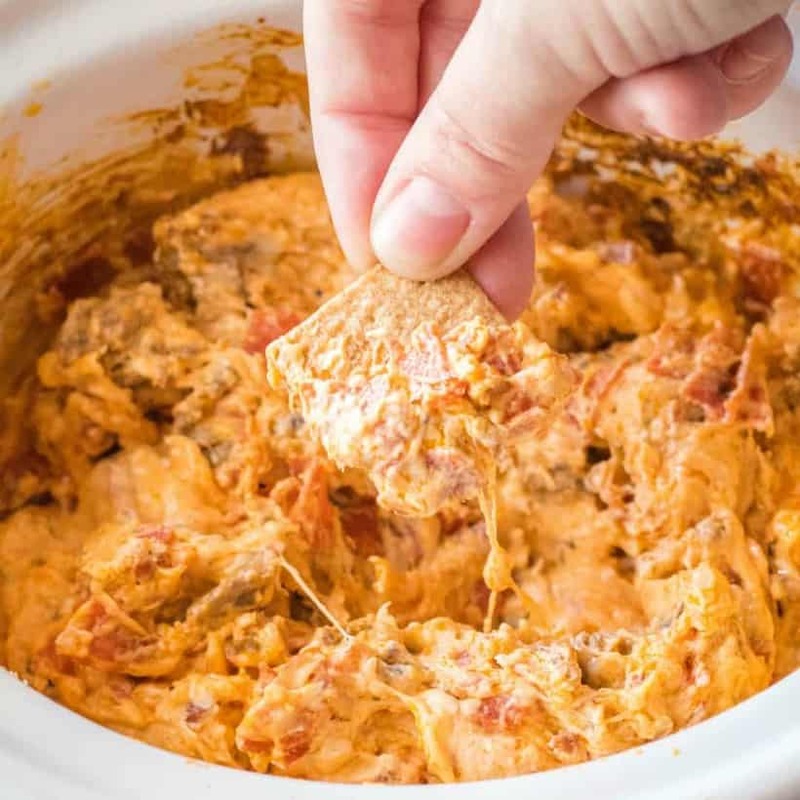 That’s where this Meat Lover’s Crock Pot Pizza Dip comes in. 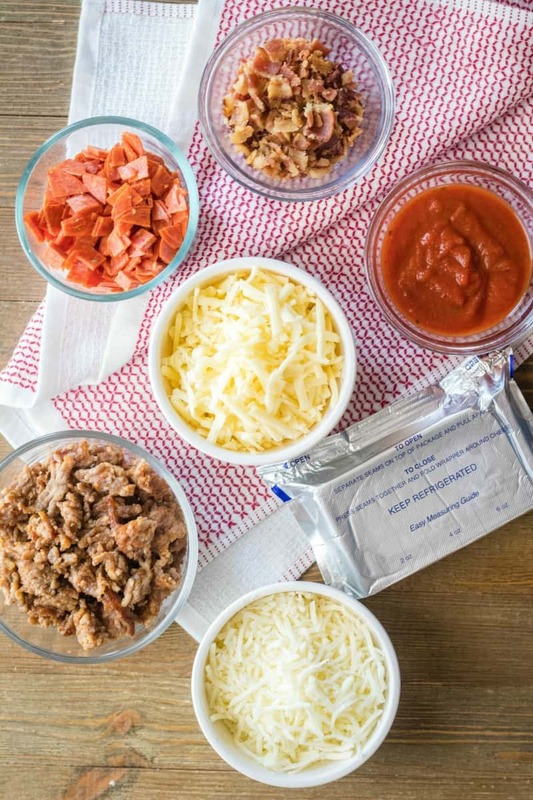 Oh so cheesy and loaded with your favorite meaty pizza toppings for an epic party dip! Pizza dip is kind of magical. It’s basically everything you love about pizza without the crust. Great for those low carb lovers. One of my favorite things about a pizza dip recipe is that you can really customize it to your tastes. 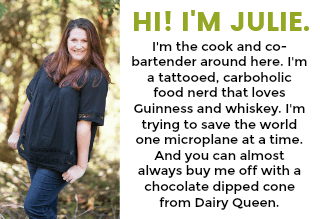 I went meat lover’s because I’m a carnivore and so if my husband and our friends, BUT you can really use any of your favorite pizza toppings. Hawaiian Pizza Dip – Add ham while dip cooks and stir in drain pineapple tidbits once ready to serve. Supreme Pizza Dip – Add pepperoni, ham, mushrooms, onion, and green bell peppers. Veggie Lover’s Pizza Dip – Add green bell peppers, onions, mushrooms, and Roma tomatoes while the dip cooks. Stir in black olives once ready to serve. Pepperoni Pizza Dip – Keep it classic and just add pepperoni. You might wonder why I made this pizza dip with cream cheese since regular pizzas don’t have cream cheese, but sometimes dips need something melty and rich to bring it all together. The cream cheese is 100% that addition. Bonus it gives a nice tang to the dip you wouldn’t get other wise. Trust me on this, cream cheese is a good idea here. 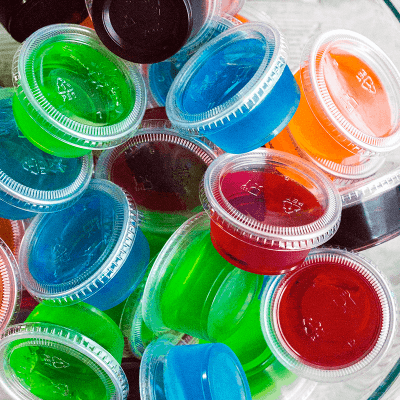 I know I said this dip is low carb, and it is…by itself. But I’m a bread dipper so that goes right out the window. I like Wheat Thins or toasted baguette slices to go with this dip. If I have time I make a couple pizza crusts and tear them into small pieces to serve alongside the dip. Then you get the full pizza experience, but it’s completely up to you. 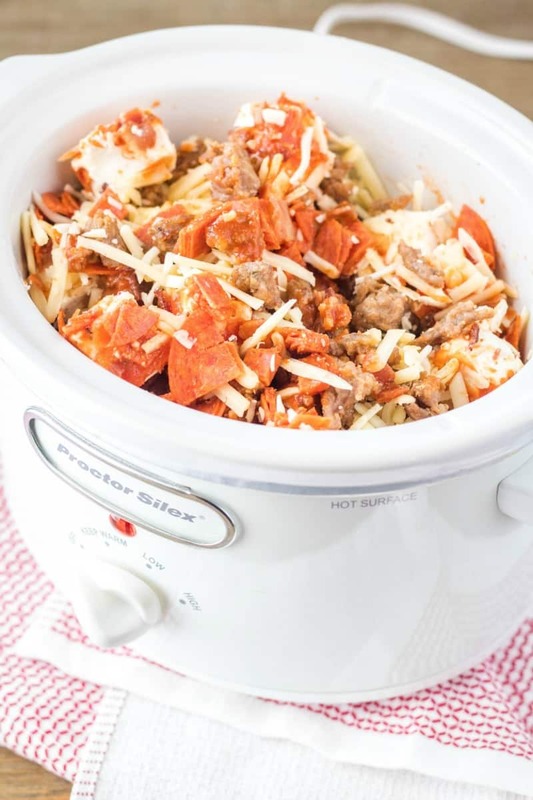 In a 1.5-quart slow cooker mix together cream cheese, mozzarella, jack cheese, pepperoni, sausage, bacon, and pizza sauce. Cover and cook for 1 1/2 hours on HIGH or 2 1/2 to 3 hours on LOW. Uncover and stir dip. Turn crock pot to WARM and serve with crackers or bread. SUPER easy, right?! Mix it, forget it, stir it, love it! Now, if you want to bake your dip instead of going to slow cooker route you can. It’ll come out great. In a medium mixing bowl, stir together the cream cheese (softened), mozzarella, pepperoni, sausage, bacon, and pizza sauce. You want everything really well incorporated. Spread dip into an 8-inch x 8-inch baking dish. Top with jack cheese. Bake at 350 degrees F for 25-30 minutes or until the dip is bubbling and cheese is melted. You can even broil the top for a minute after baking so the jack cheese gets those gorgeous brown cheese bubbles. YUM!! 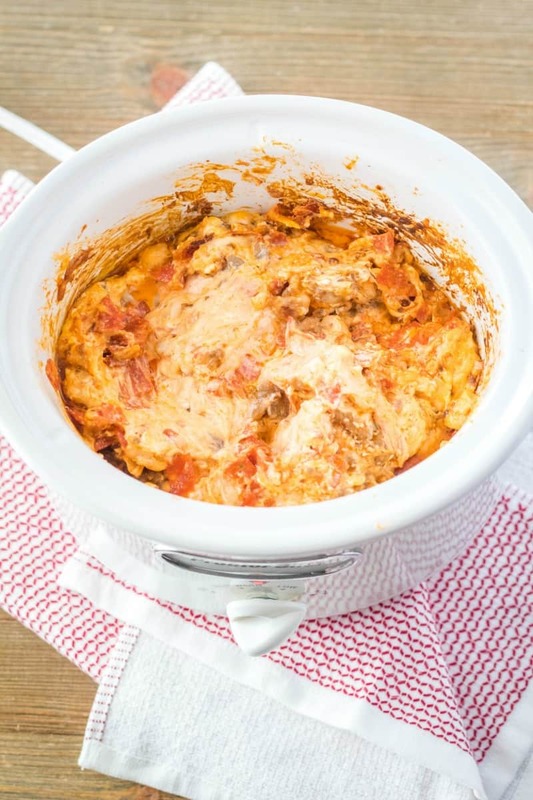 Meat Lover's Crock Pot Pizza Dip is everything you love about pizza turned into a crazy good, easy to make, super cheesy party dip! Add all the ingredients to a 1.5-quart slow cooker and stir to combine. Cover and cook on HIGH for 1 1/2 hours (or LOW for 2 1/2 to 3 hours) stirring occasionally, until the dip is melted and isn't super stringy. Give the dip a stir and then turn the crock pot to WARM or transfer the dip to a serving dish. Serve warm with crostini, crackers, or breadsticks. In a medium mixing bowl, stir together the cream cheese (softened), mozzarella, pepperoni, sausage, bacon, and pizza sauce. You want everything really well incorporated. Spread dip into an 8-inch x 8-inch baking dish. Top with jack cheese. Bake at 350 degrees F for 25-30 minutes or until the dip is bubbling and cheese is melted.